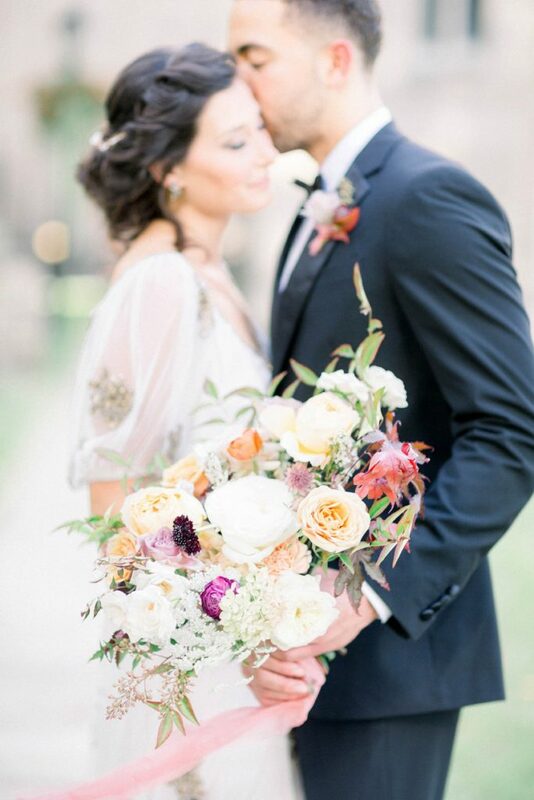 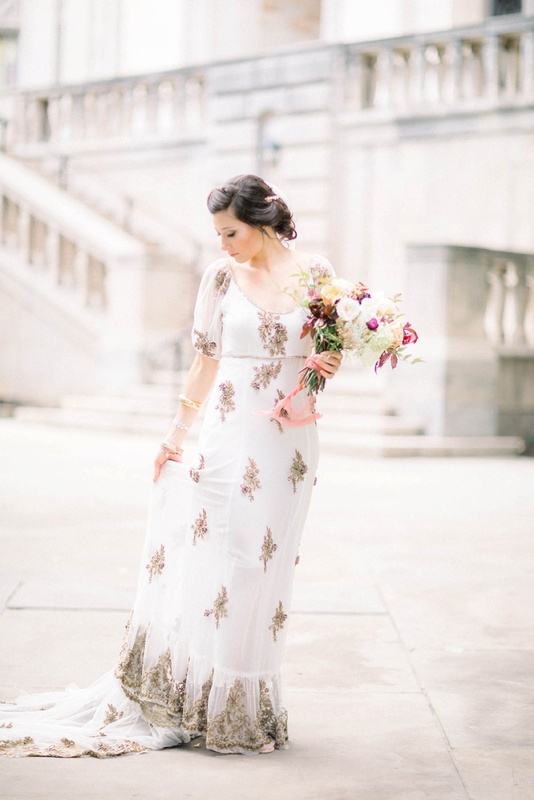 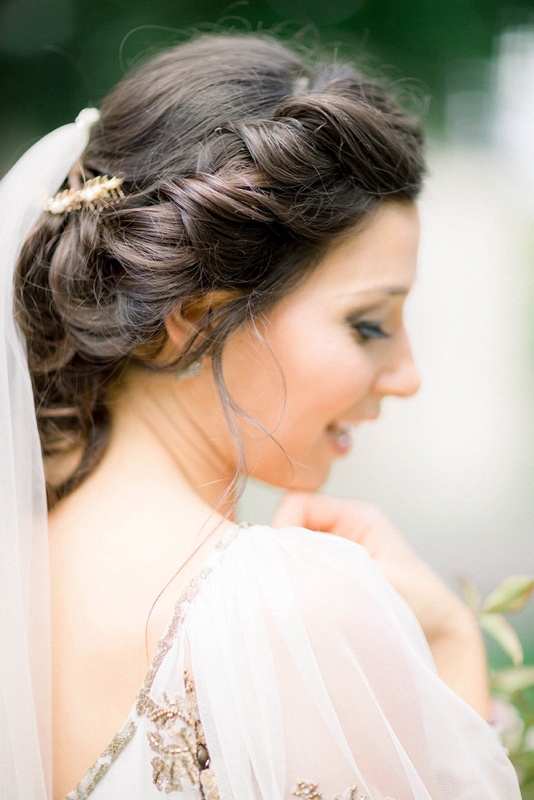 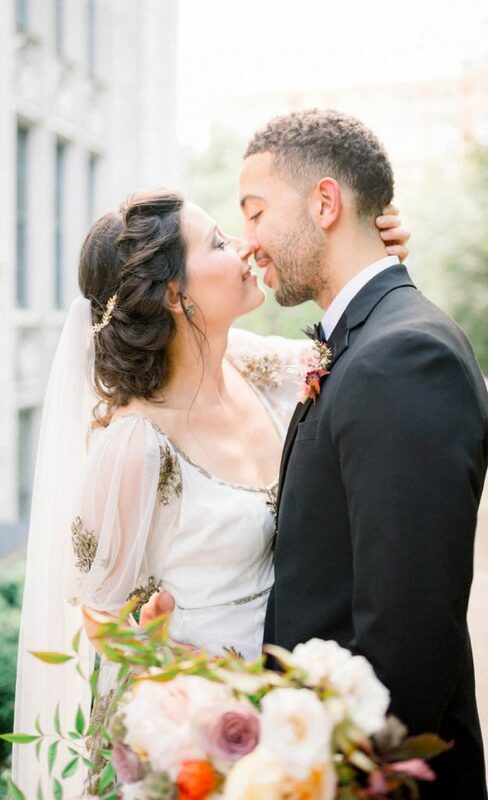 Full of romantic feels and European vibes, this old world inspired wedding styled shoot is sure to leave you swooning. 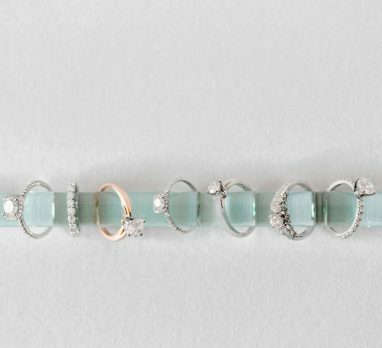 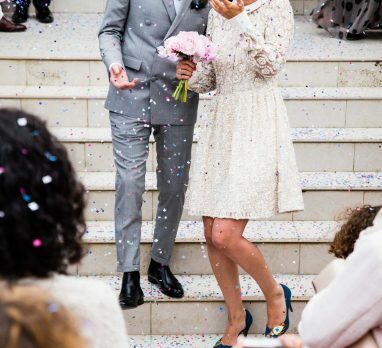 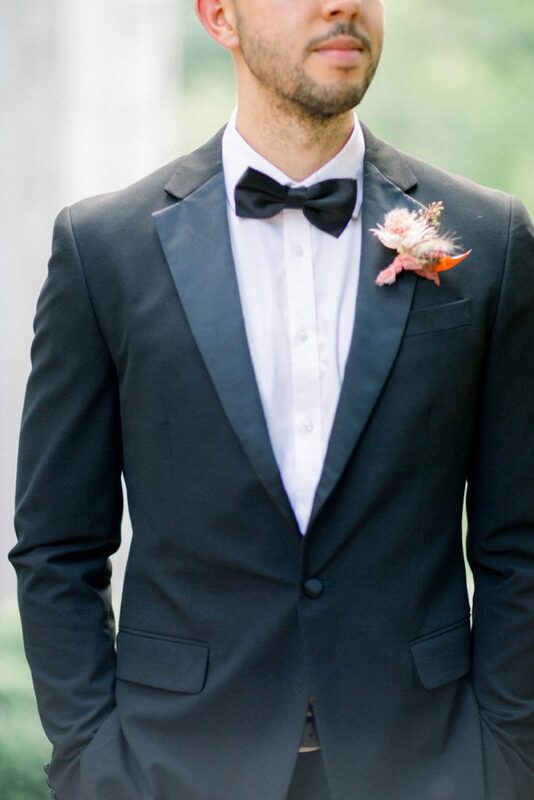 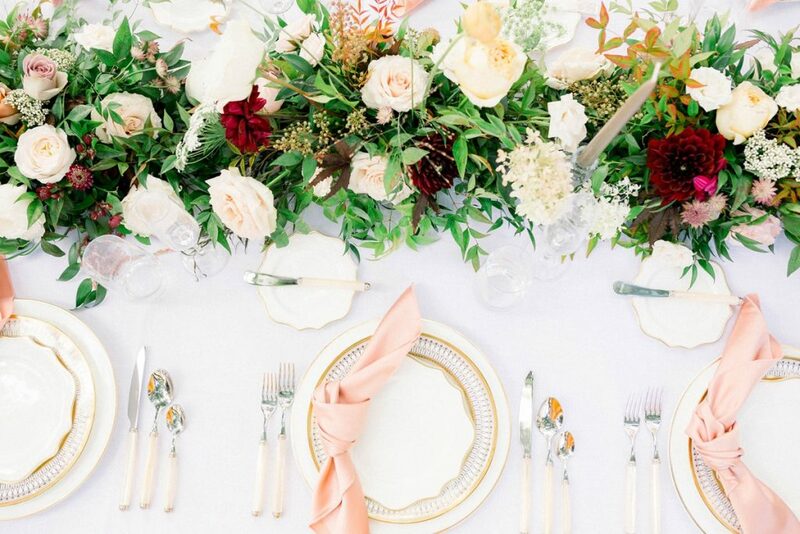 Alyssa Thomas Events envisioned a style that pushed the boundaries of colors and textures, while also embracing femininity and modern wedding trends. 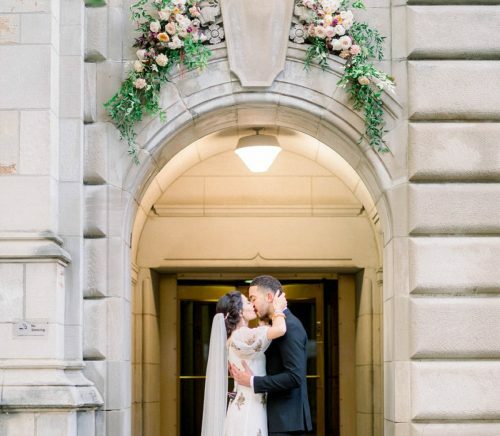 The intricate stone architecture of the University of Pittsburgh’s Cathedral of Learning infused fantasy and romance reminiscent of a favorite fairytale. 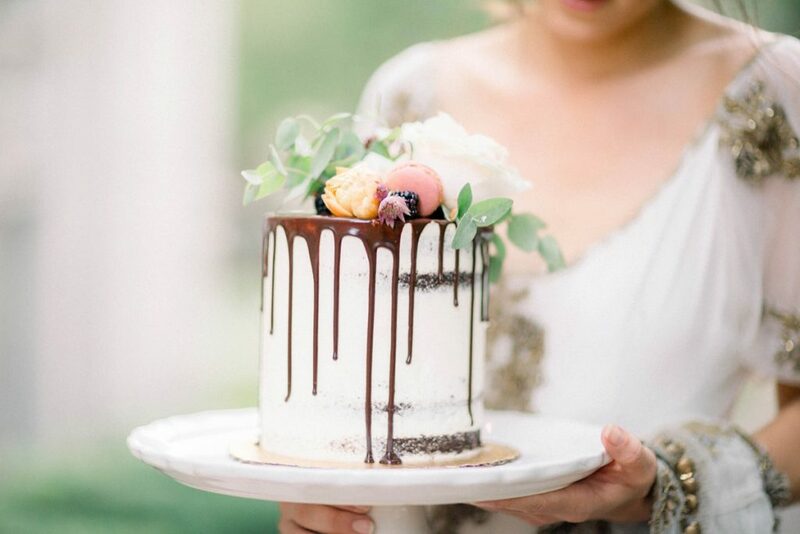 Meanwhile, acrylic table numbers, ghost chairs, and a drip cake brought contemporary elements to the otherwise classic design. 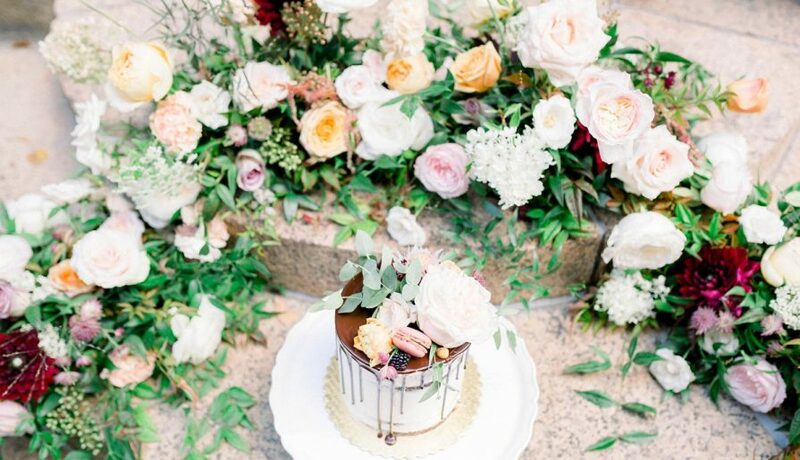 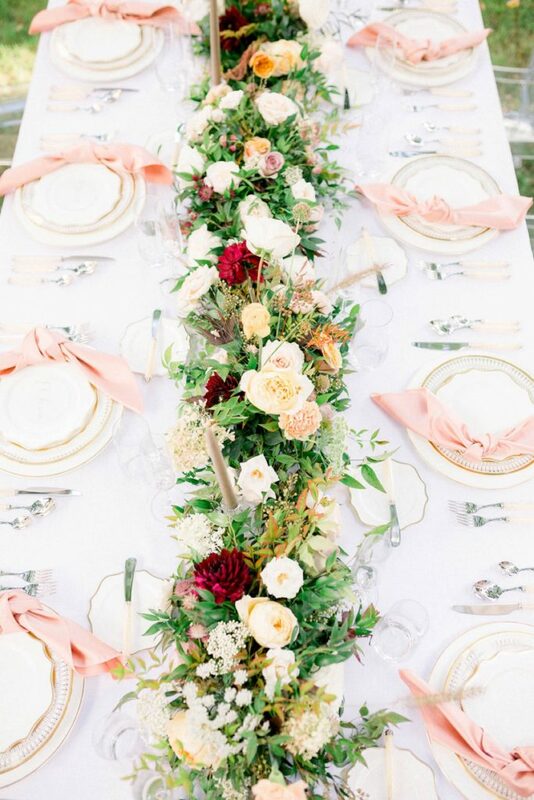 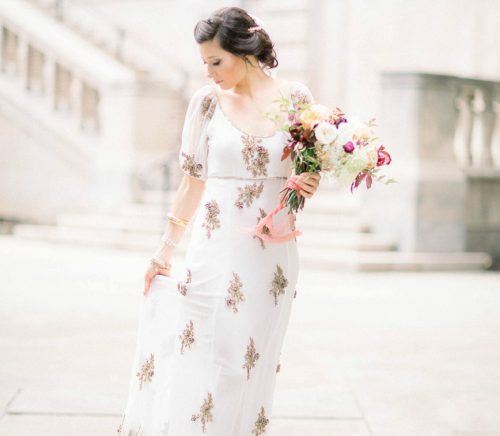 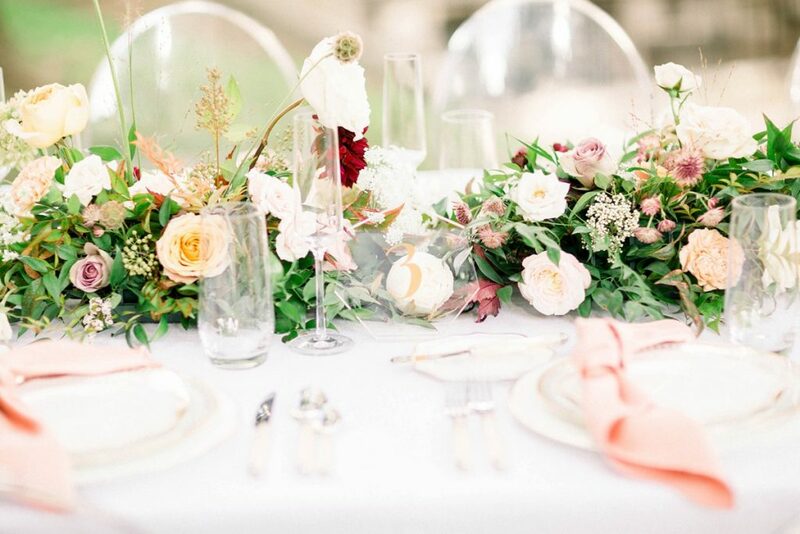 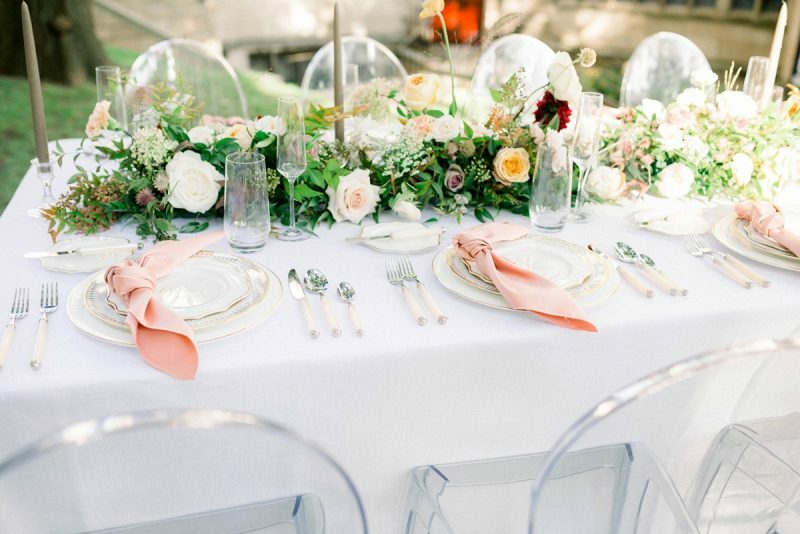 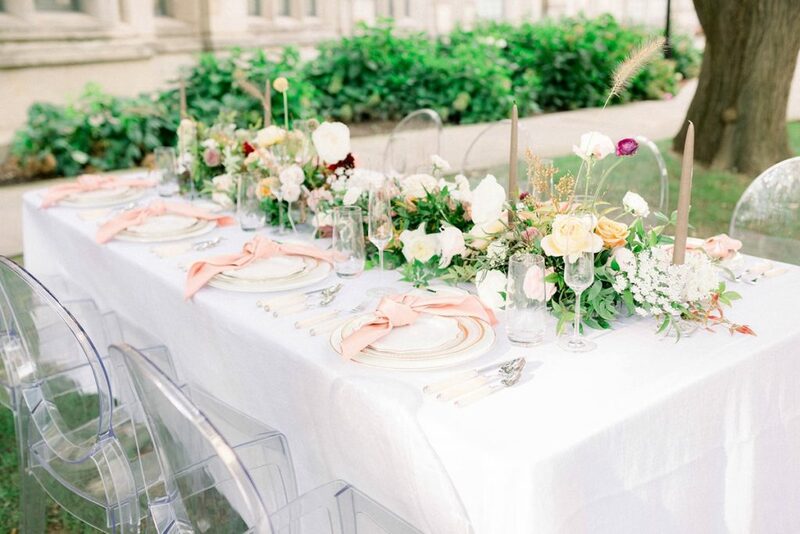 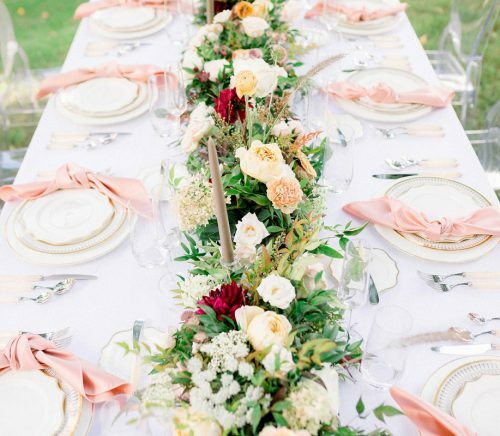 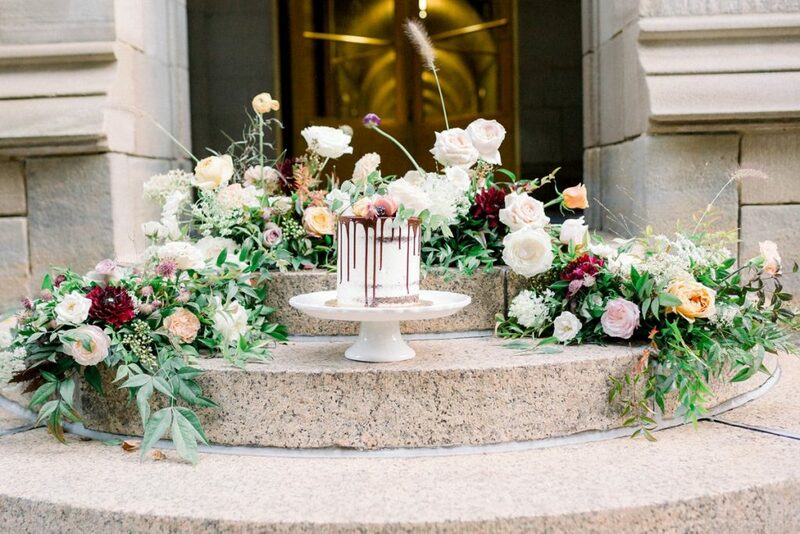 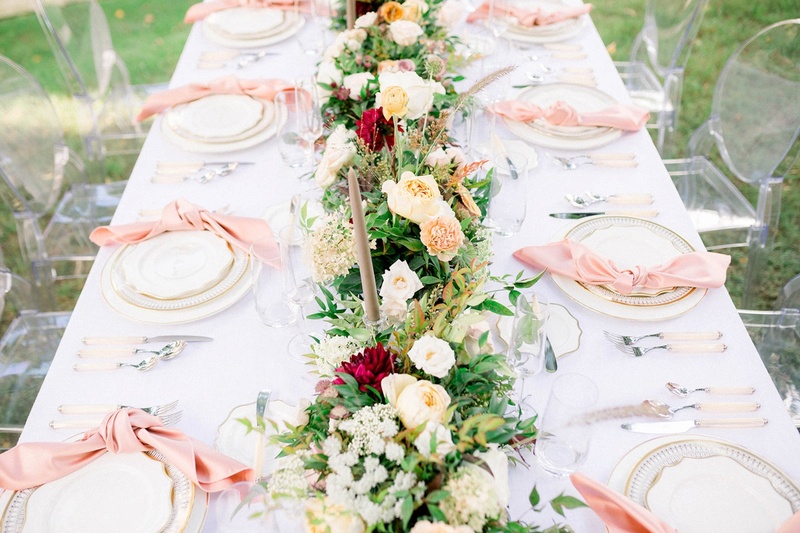 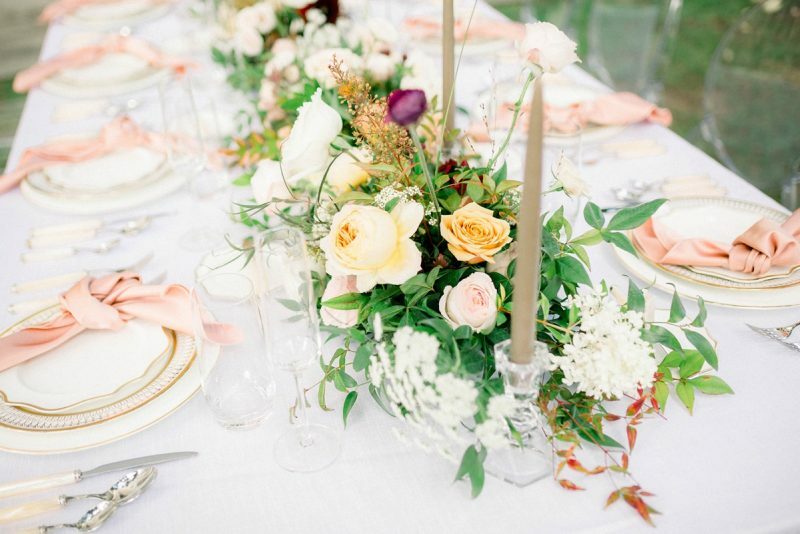 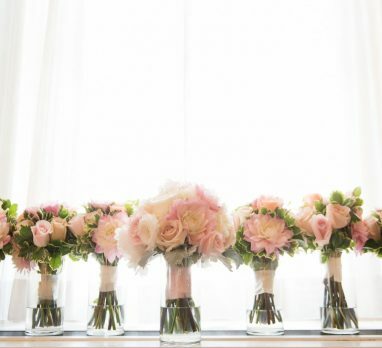 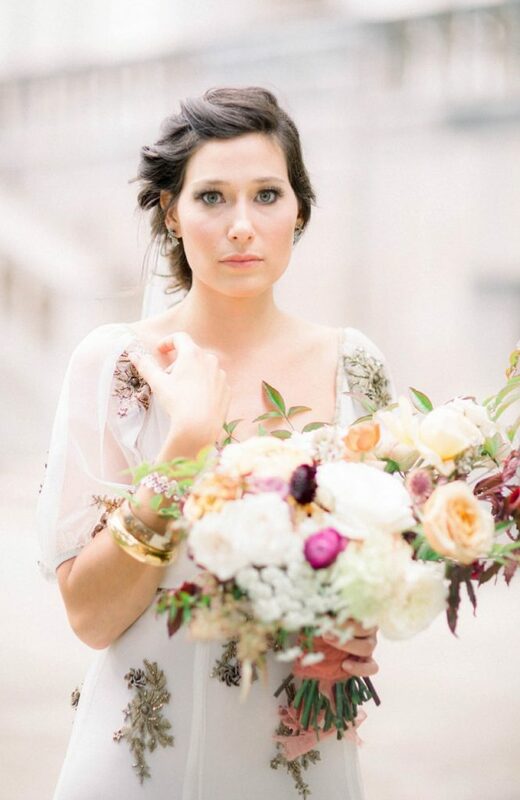 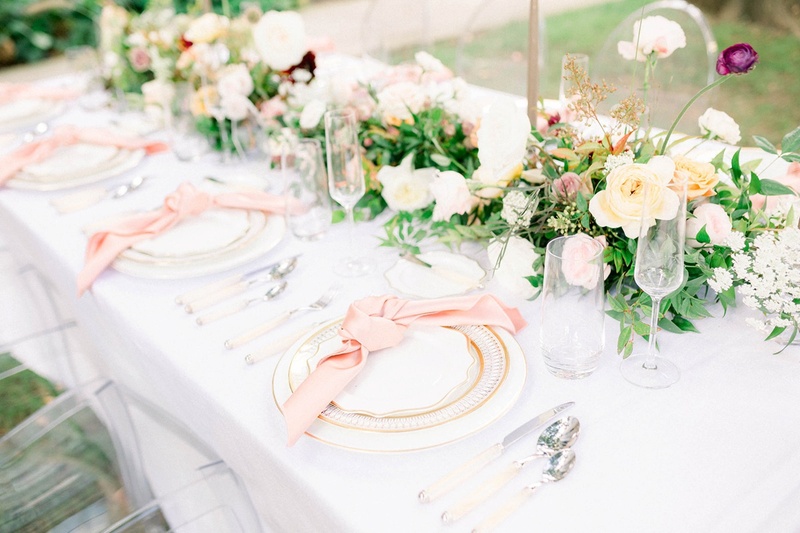 Pittsburgh wedding florist Sapphire & Lace Design whipped up lush floral arrangements in shades of pink, peach, yellow, orange, and deep red for a spring-meets-fall kind of feel. 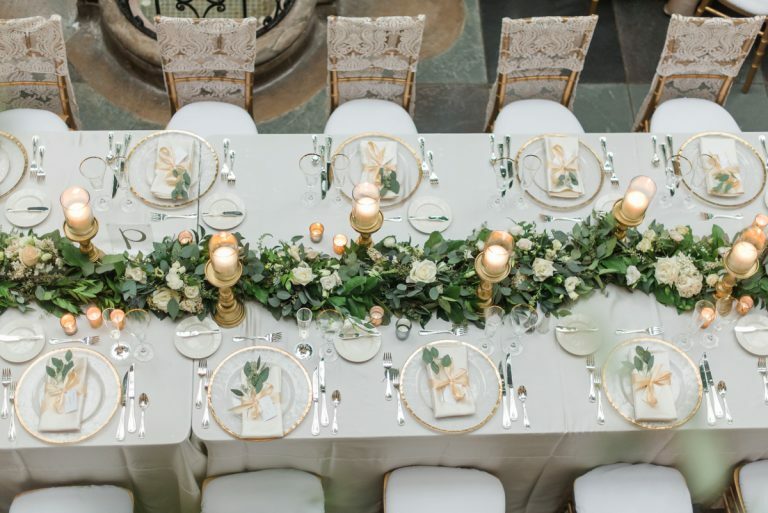 The ornate details were made complete by gold-rimmed baroque plates from All Occasions Party Rental and a gorgeously beaded gown from Lex & Lynne Bridal. 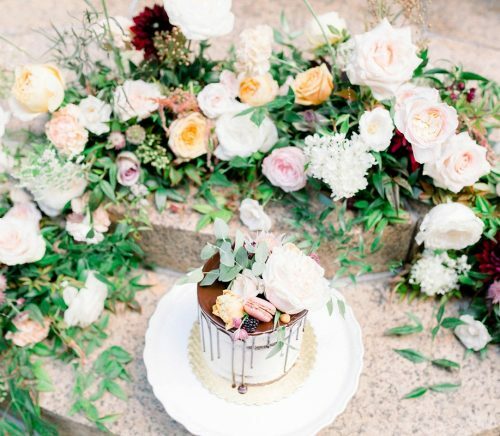 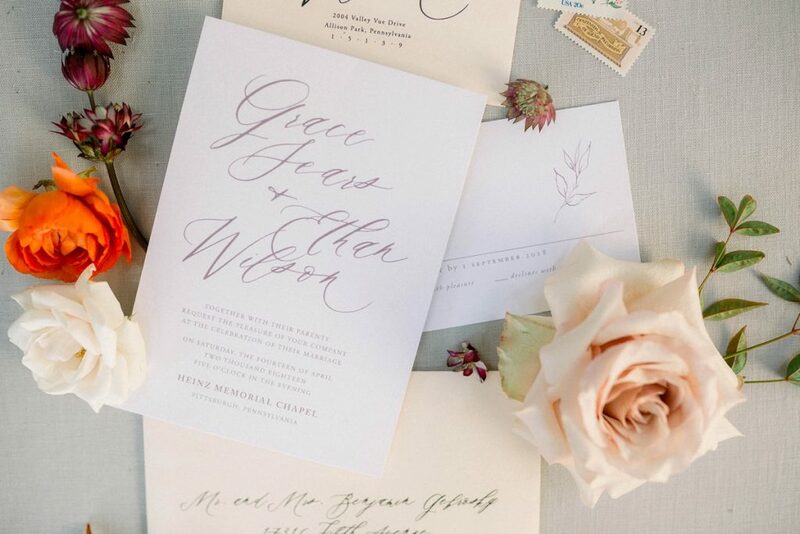 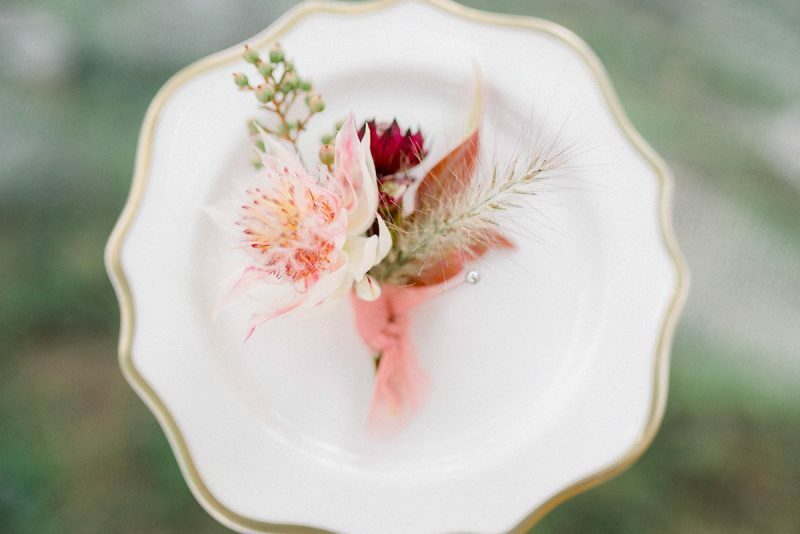 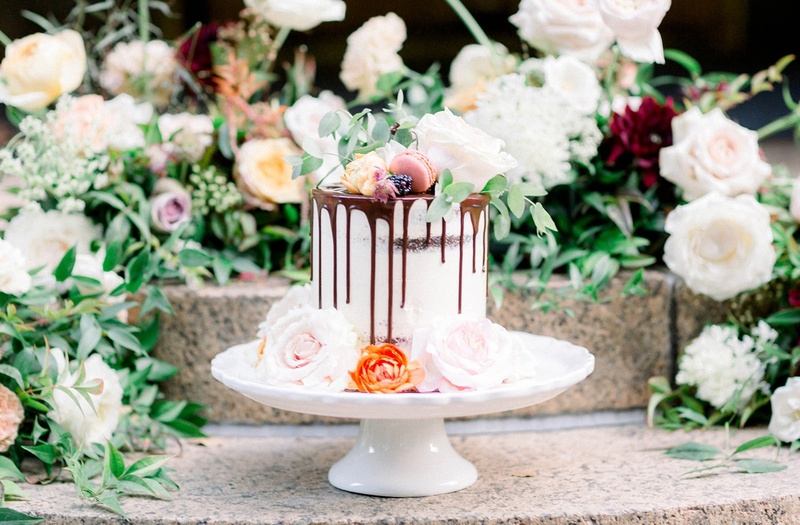 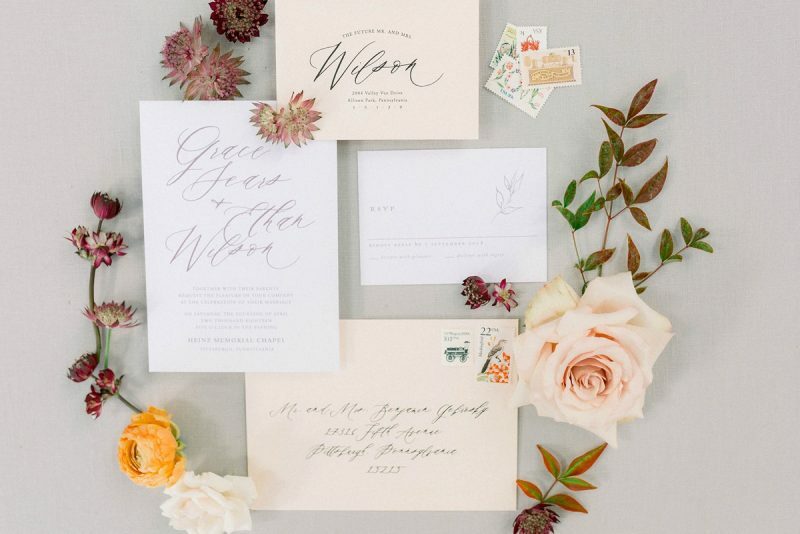 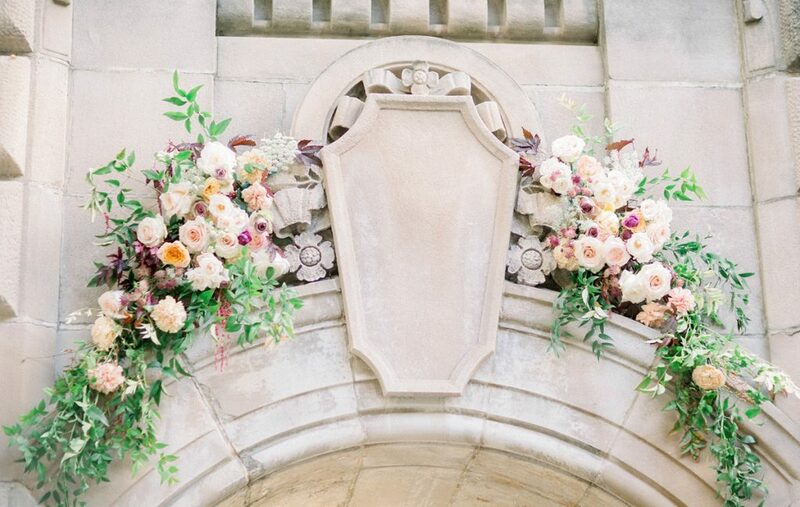 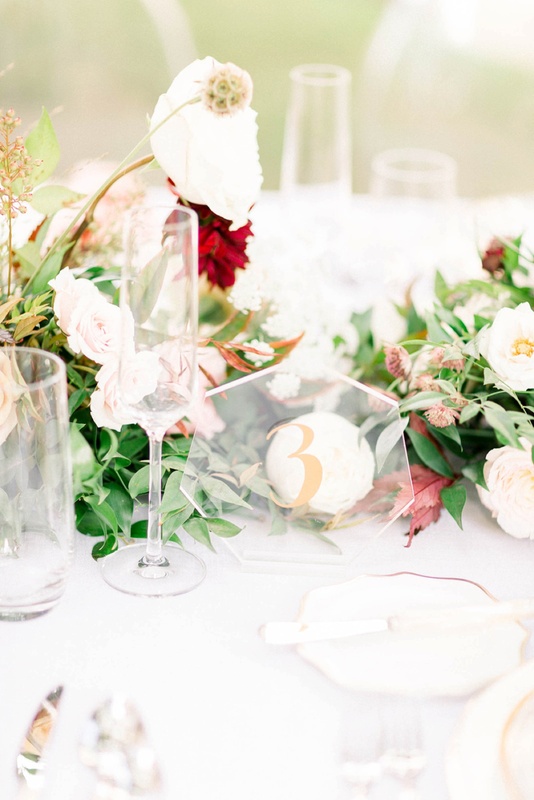 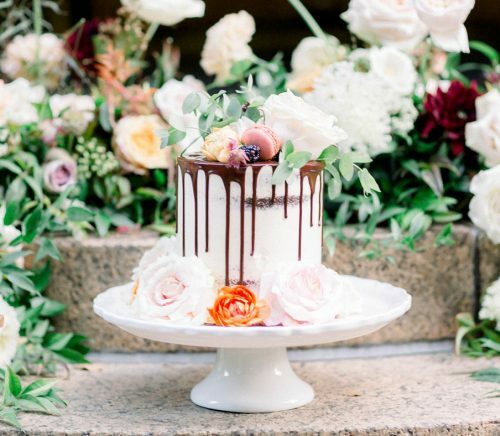 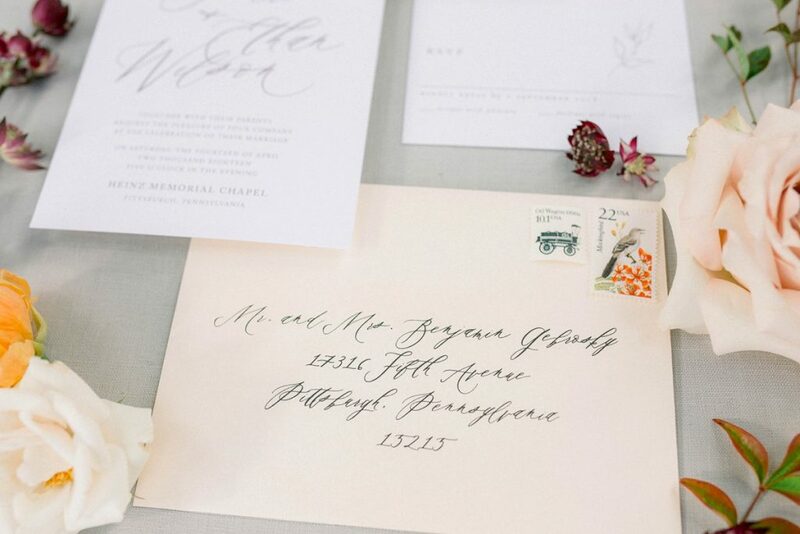 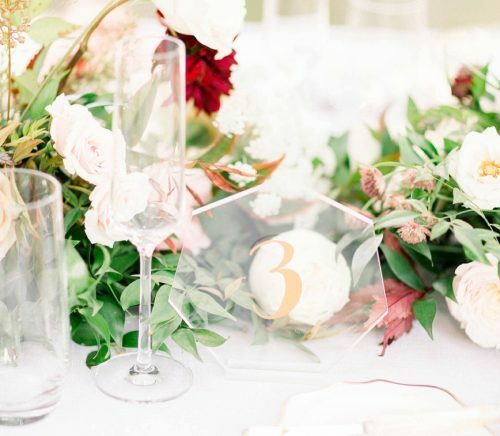 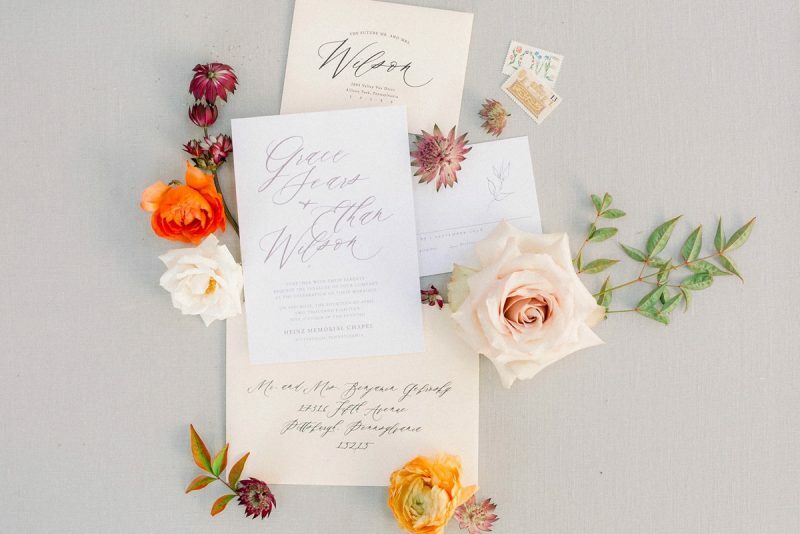 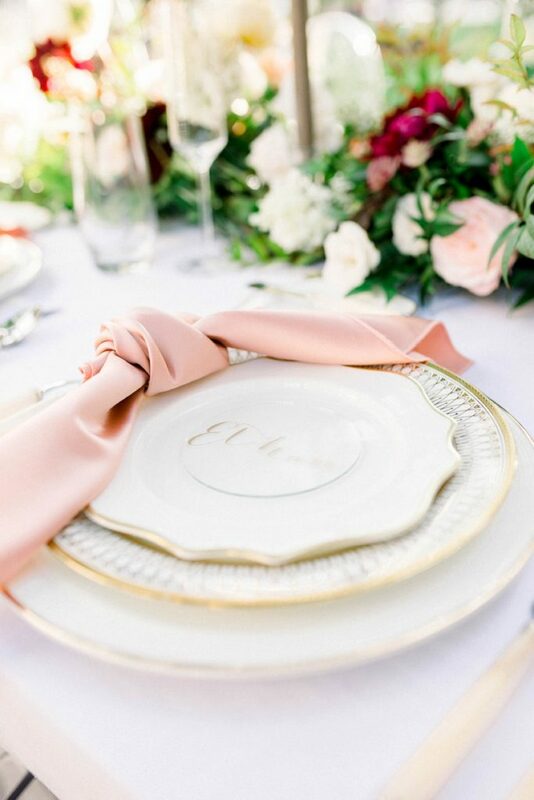 If European-inspired design gets your heart pumping, be prepared to fall in love with these images from Abbie Tyler Photography! 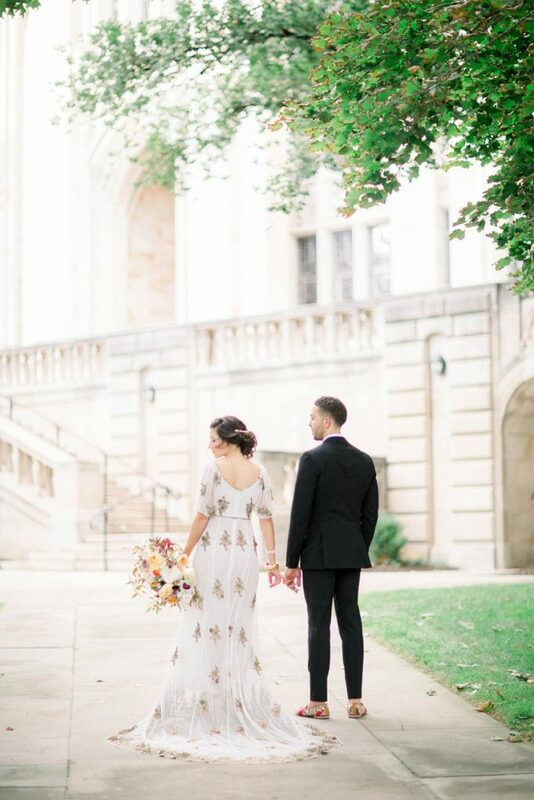 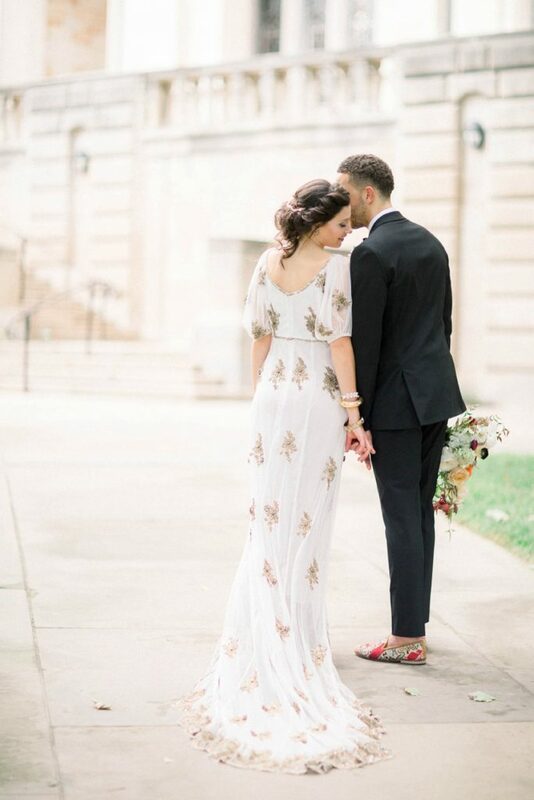 Staged at the Cathedral of Learning on the University of Pittburgh’s campus, this shoot was inspired by the delicate beaded details and feminine silhouettes of two separate gowns at Lex & Lynne Bridal. 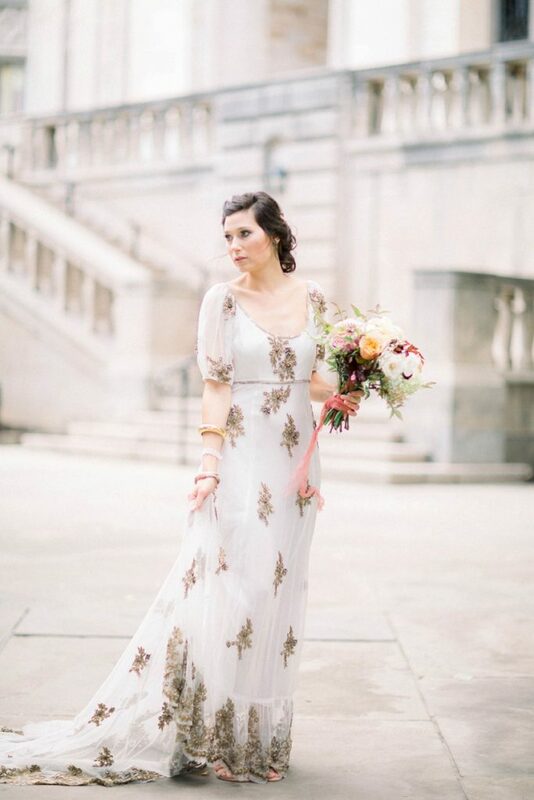 The setting for the shoot provided beautiful stone architecture and an old world feel to give our imagery depth, as well as allow the dresses to take the limelight and be shown in a bold way. 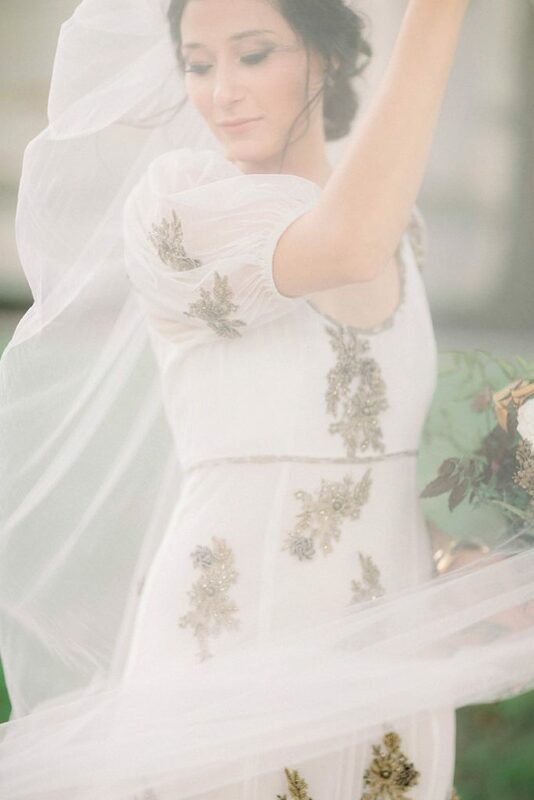 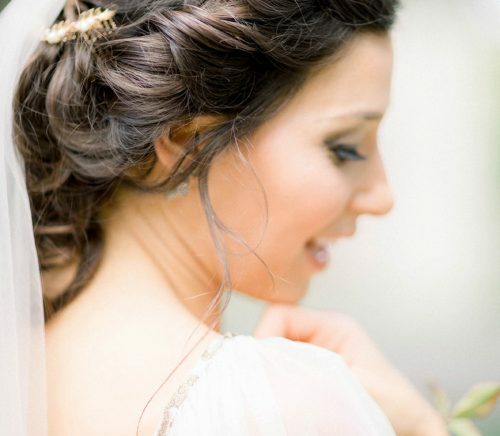 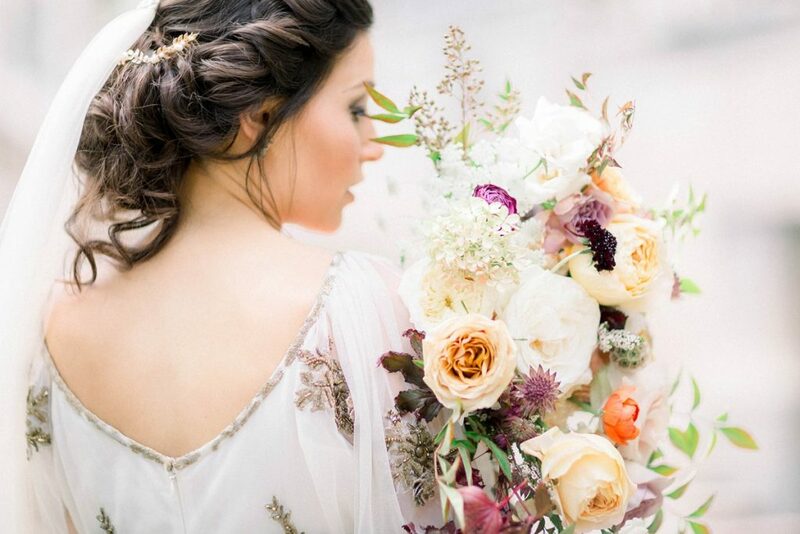 The goal was to create a romantic and whimsical editorial aimed at the style-savvy bride who isn’t afraid to push trend and color boundaries. 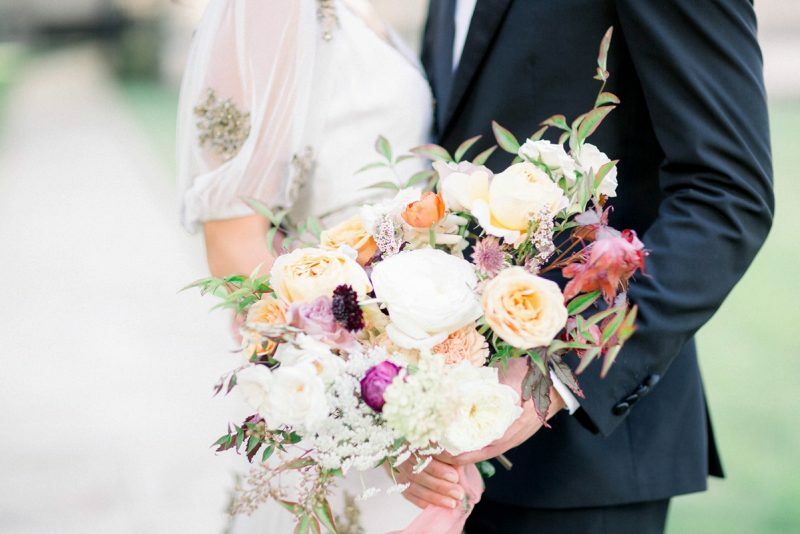 We chose a feminine fall color palette mixed with peaches, reds, orange, deep mauves, and creams to compliment the two effortlessly chic and detailed one-of-a-kind gowns. 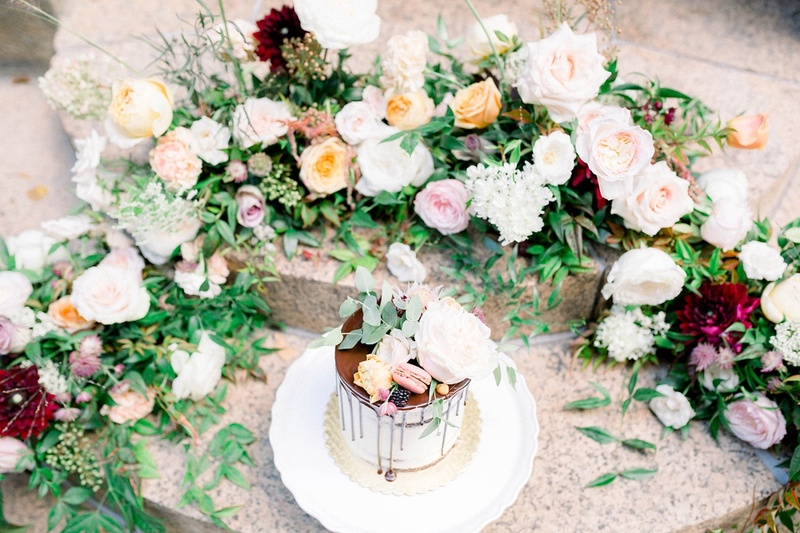 Everything from the loose and natural tucked updo, to the acrylic chairs, table numbers, and place cards, to the casual moccasins and drip cake were selected to highlight current trends. 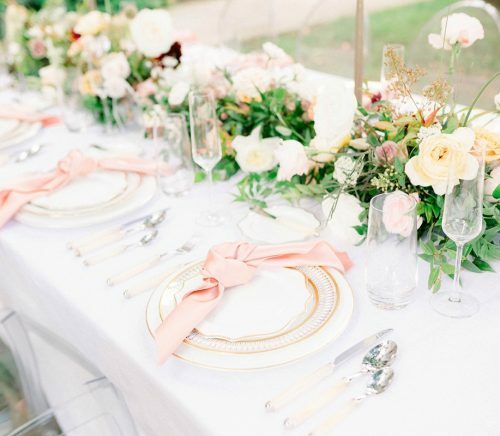 We tried to show how to bring these trends to life within the fall season but still exude femininity, style, and romance. 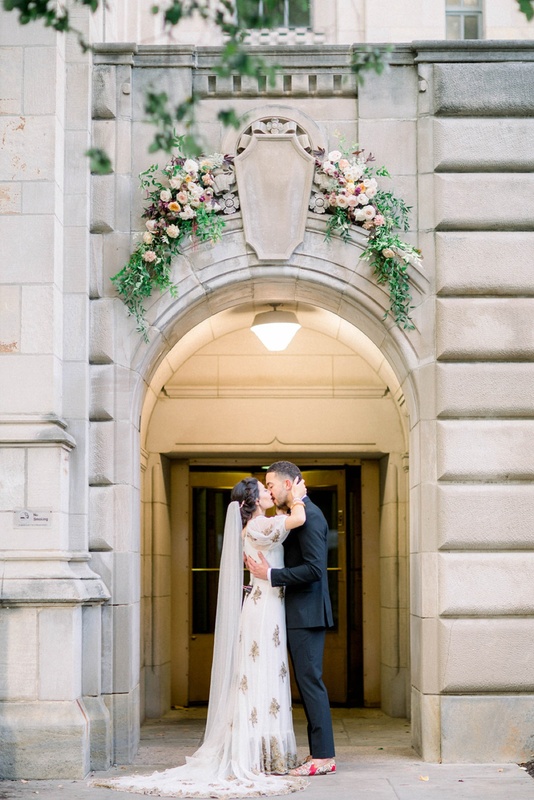 Photography: Abbie Tyler Photography | Designer: Alyssa Thomas Events | Shoot Location: The Cathedral of Learning | Cake: Mediterra Cakehouse | Decor: Sapphire & Lace Design | Dress: Lex & Lynne Bridal | Flowers: Sapphire & Lace Design | Hair: Glam to Go | Jewelry: Lex & Lynne Bridal | Linens: Mosaic | Makeup: Glam to Go | Rentals: All Occasions Party Rental | Shoes: Lex & Lynne Bridal | Stationery: Blush Paper Co.